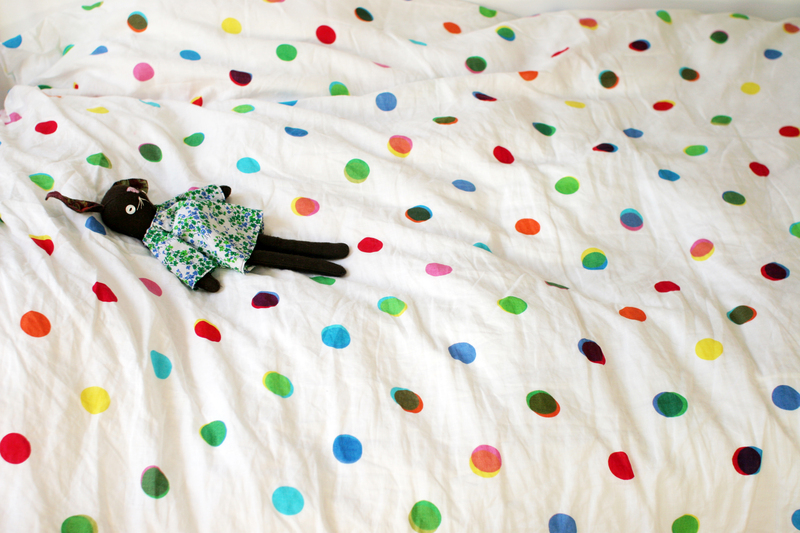 One of our favorite gifts from Santa this year was this spotted linen PS 2012 Ikea duvet cover. 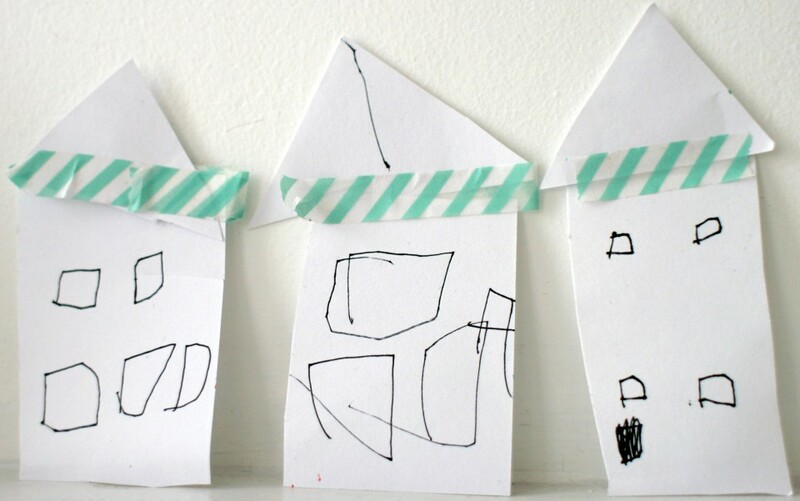 (Yes, Santa and Ikea do work together at times – see our DIY Teepee post). I was looking for something that would make it easy for the girls to make their own beds and these covers are so pretty and bright. The multi-colored dots make our white bunk beds look so cheery. There may be lumps of stuffed friends under the covers, but the girls have been sleeping soundly and then making their own beds in the mornings. (Here is the post for this cute little DIY Stuffed Bunny Toy).